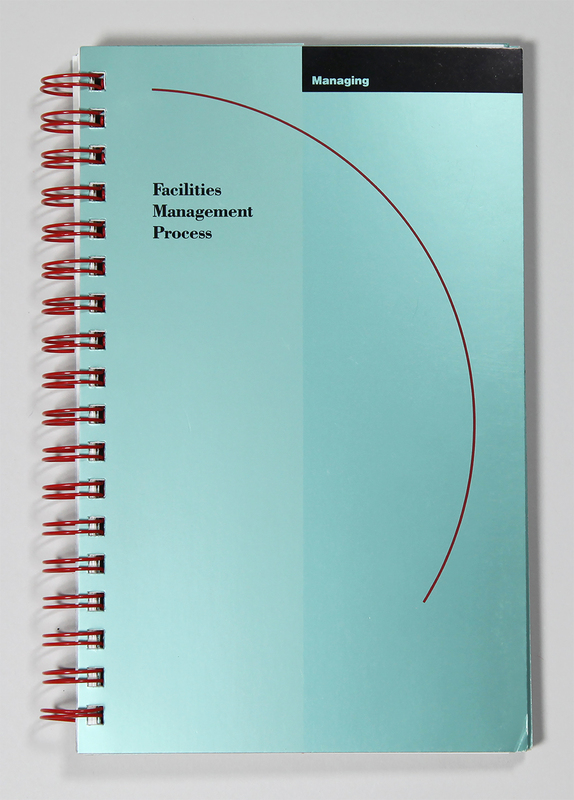 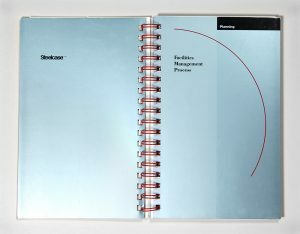 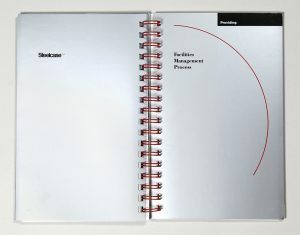 Like the Facilities Management process which has no beginning or end, this book has no cover. 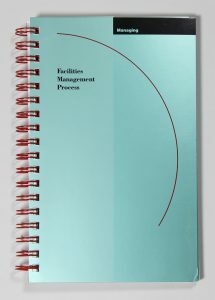 It can be opened or closed at each of the three sections – Planning, Providing, or Managing. 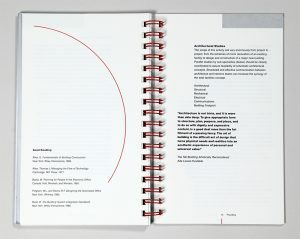 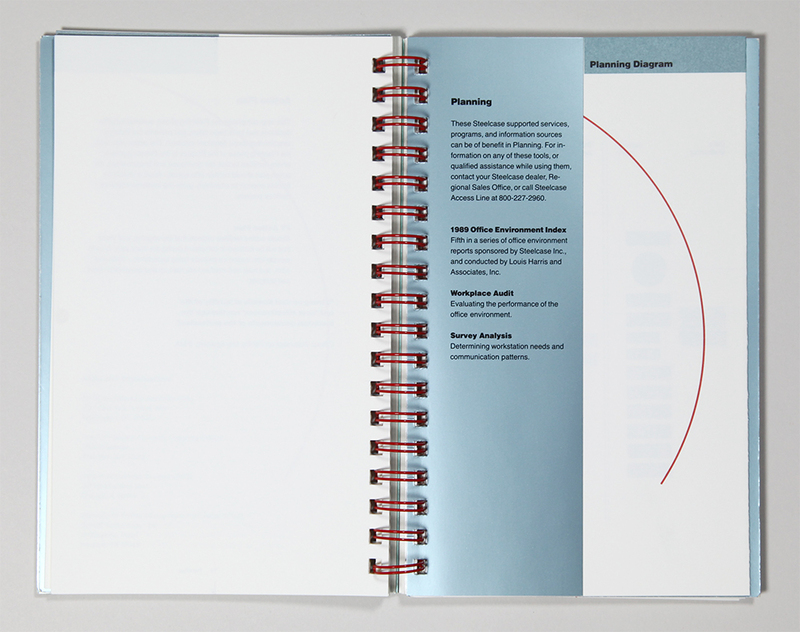 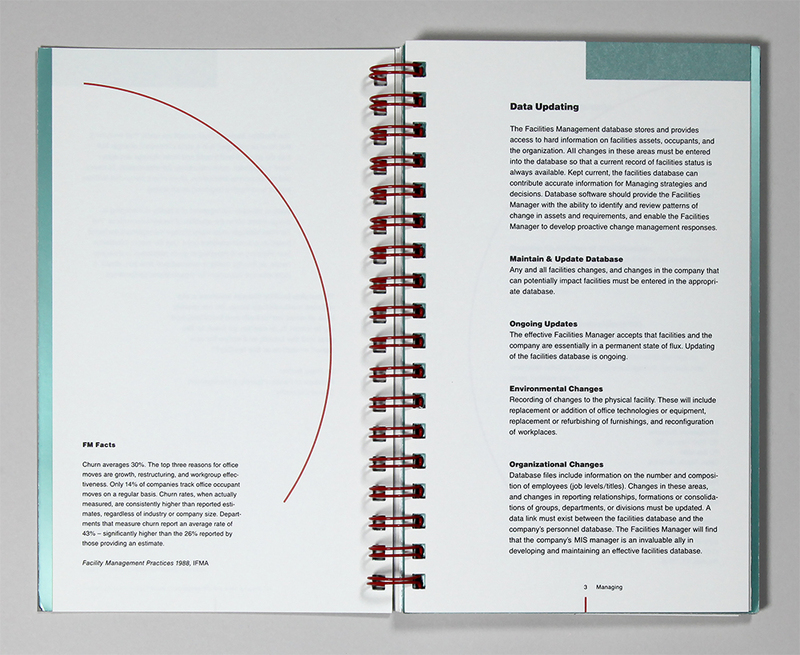 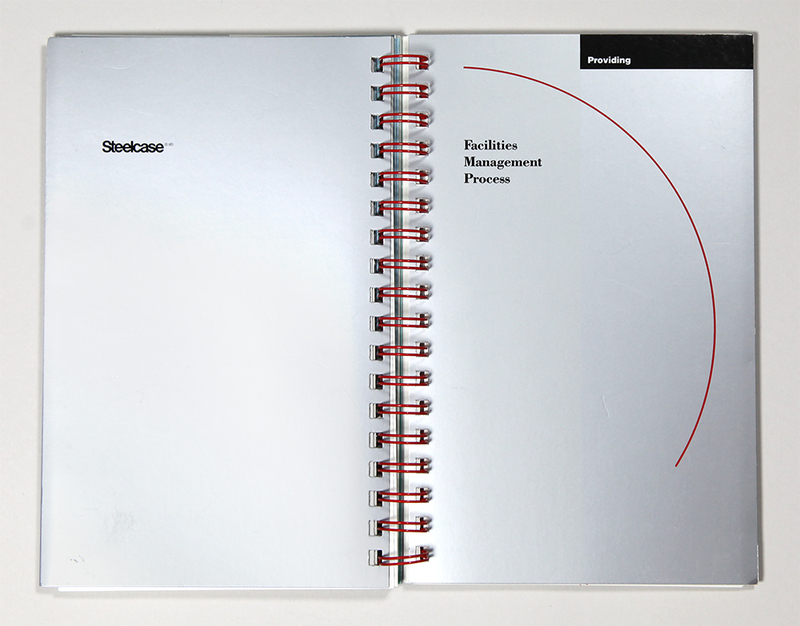 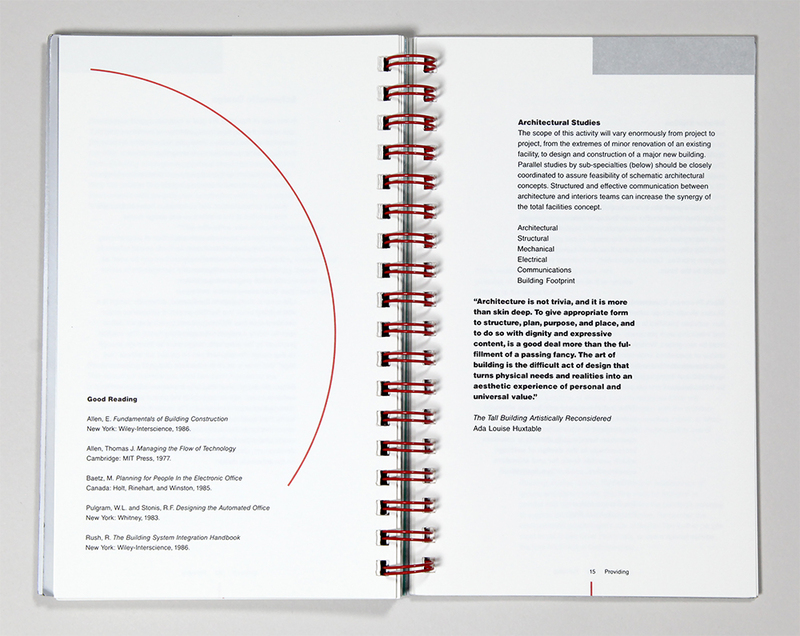 A fold-out flowchart of the process at the end of each section can be opened and consulted while reading the text. 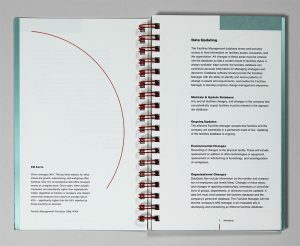 Size w 6.5" x h 9.5"
Techniques Offset printing, 4 spot colors, and spot coating. 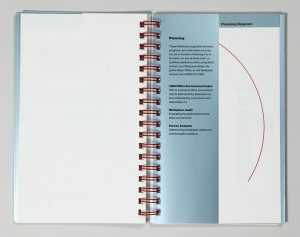 Scored and folded. 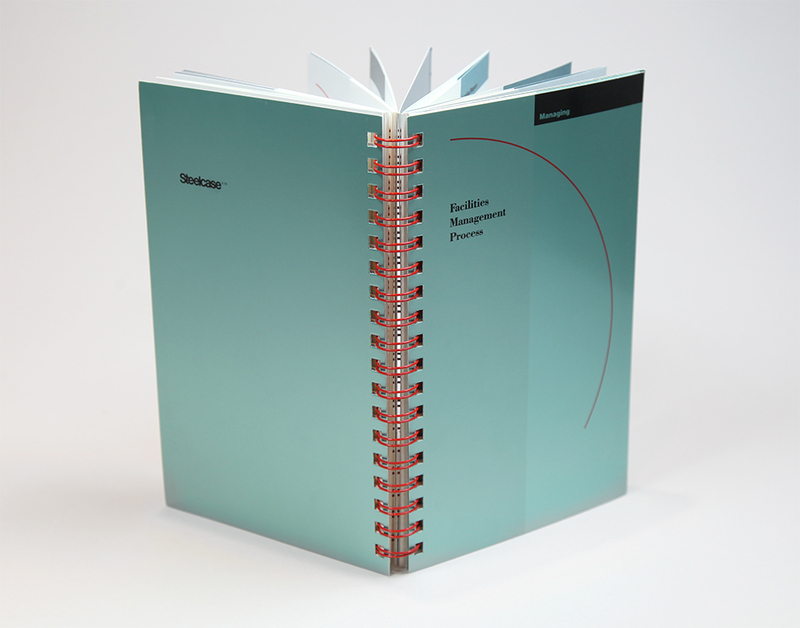 Red wire-O binding.